Q: What is the single most important document required to get every dollar you're entitled to recover and rebuild? A: A meticulously detailed, line item estimate, expertly and professionally writted by an experienced licensed master builder! Schedule a FREE consultation to review all your options with an RAA reconstruction and recovery expert! Installing a Smart Vent in your foundation can prevent flood damage and bring your flood insurance premium way down. Contact Smart Vent for more information. Protect your home with Brandguard Vents™. The vents are designed by a California firefighter to screen out embers that can ignite or re-ignite a home during a wildfire. Save $25 off your order of $250 or more when you mention United Policyholders. Ask your insurer if you can get a discount or "brush credit" for installing Brandguard Vents. e2Value, Inc. is a full-service application development and technology provider that offers products to assist with asset valuation. Their tools can be used for collateral asset valuation, risk management, and predictive modeling. e2Value is the leading SaaS provider delivering valuations for residential, commercial, and farm and ranch properties in the United States and Canada. For more information, visit www.e2value.com, email sales@e2value.com or call 888-371-2788. Amazon will donate 0.5% of the price of your eligible purchases to United Policyholders when you sign up and shop through AmazonSmile. It is easy and free, just go to smile.amazon.com, log in, type in "United Policyholders" in the charity search field, press select, and shop to your heart's content knowing that Amazon is giving to UP because of you. Purchase your Shaklee products through this link and Shaklee will donate a percentage of your order to United Policyholders. You really can shop for a cause! This book gives you the inside scoop on what really matters when buying insurance for your car, home and assets. Find out what you need to know that your agent or insurance company won't tell you. 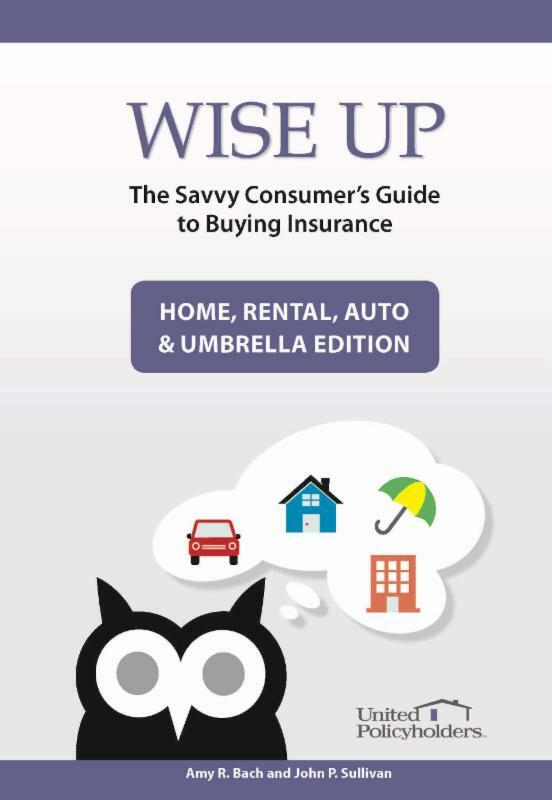 This easy to read book gives you the questions to ask when buying and renewing policies so you can get the protection you need without wasting money.